Over Monday July the 17th and Tuesday the 18th, the Puslinch Kodiaks played three ball games. It all started with a trip down to Niagara Falls on Monday night for a double header of games against the Niagara Fury, and the Jordan Jays. Unfortunately, with the early start time of 7 pm the Kodiaks went down with just the right number of players, nine, and only one healthy pitcher, many of the players once again arriving just as the game was about to start. This was not a recipe for success as one can imagine, as the Kodiaks got taken to task by the Fury in the first game. Niagara scored 4 runs in the 1st, followed by another 10 runs in the second inning. The Kodiaks then decided to throw a couple non experienced pitchers in order to save our one experienced pitcher for the second game. With maybe a little of the foot taken off the gas pedal by the opposition, were able to shutout the Fury from there. The Kodiaks also managed to put together some offense in the 4th and 5th inning, scoring 5 runs to add to a single run in the second, but the game was well out of reach, and they were handed a mercy loss. In the second game of the night, the Kodiaks took on the Jordan Jays. Unfortunately once again, the Kodiaks struggled to keep the Jays from scoring runs, and were making uncharacteristic errors all over the field. This led to a 6-3 lead for Jordan, despite John Blair hitting a homerun in the 3rd inning (a two run shot). The Kodiaks would put up 3 more runs over the next three innings, but with a tired arm on the mound, and mistakes in the field, could not stop Jordan from scoring 4 more in the 5th inning, before adding 3 more in the bottom of the 6th to take the mercy victory by a final score of 13-6. The very next night they were back at it against the Glen Williams Ale Stars at the Aberfoyle Ball Park. 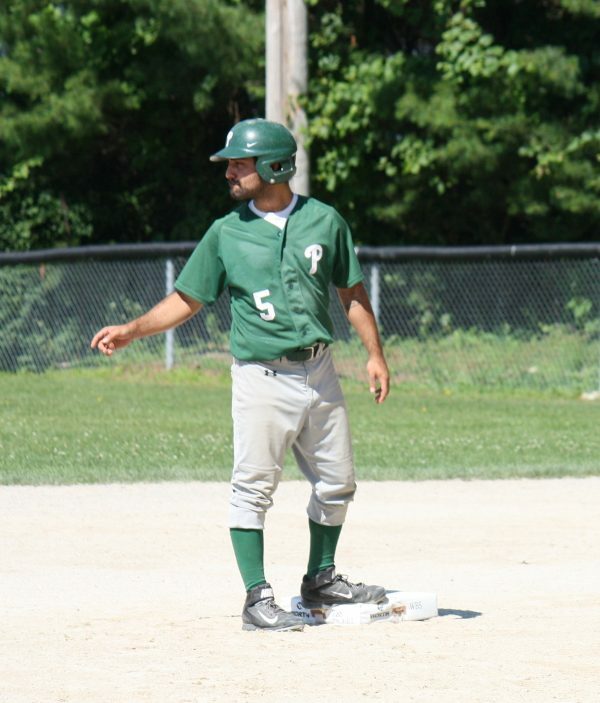 Puslinch had the same nine players as the night before, but added Troy Cox this time, and he took the mound for the Kodiaks in the 4th and final match-up with Glen Williams. Troy was coming off two of his best starts as a member of the Kodiaks, but unfortunately struggled in this game finding a tightly called strike zone. After pitching 2+ innings, Troy handed the ball off to David Jefferson, who had pitched 8 innings in Niagara the night before. Dave would give up 1 run in the 4 innings he threw in a solid bounce back effort after the previous night’s events. By the time he had gave up his one run in the top of the 4th inning, the Kodiaks found themselves facing a 7-0 deficit that Glen Williams had built up. In the bottom of the fourth inning the momentum took a big swing with a Mike Lajoie single followed by a J.J. Gallo RBI double, which was the start of the Kodiaks reeling off 4 runs to make a game of it. In the fifth inning Mike Lajoie would once again lead off for the Kodiaks with a single, and the Kodiaks had 4 of their next 5 hitters also single, cashing in another 3 runs and making a once almost certain mercy situation completely erased. Unfortunately Puslinch could not cash in any more runs in the two remaining innings and the game would end in a 7-7 tie. Once again, we’d like to remind you that the Kodiaks will be taking on the Under 22 Ontario team at Aberfoyle ball diamond this Saturday (July 22nd) at 3 pm and 5 pm.